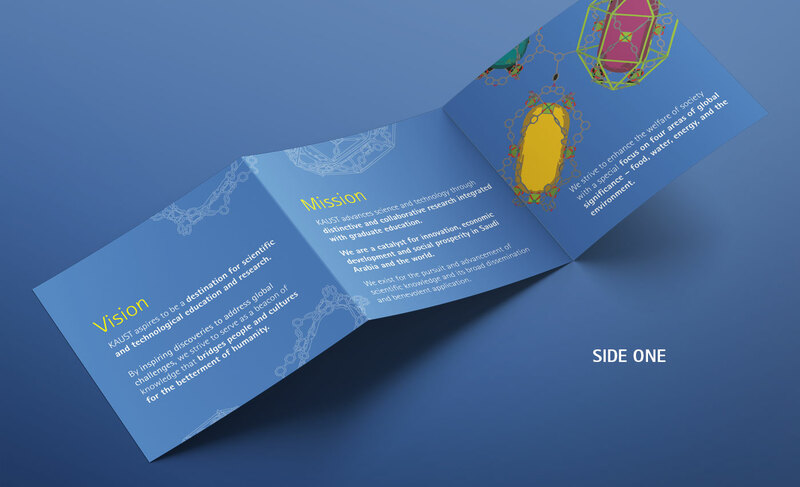 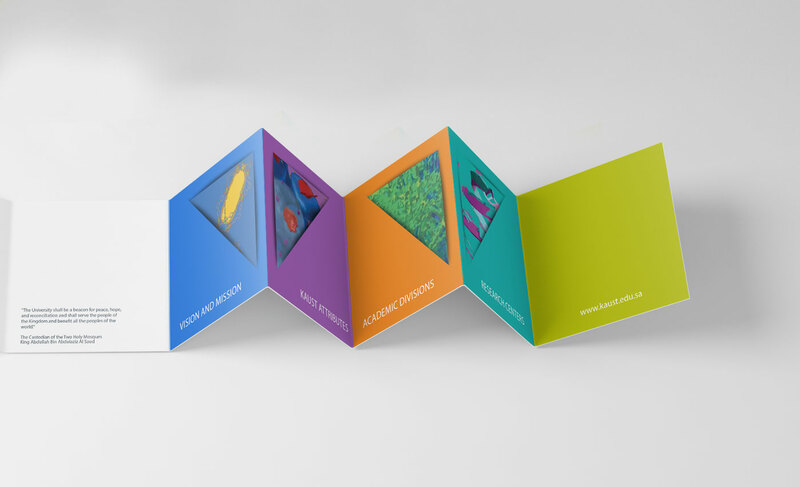 When the vision and mission of KAUST were updated back in 2015, we needed to create a marketing package for an internal campaign to highlights KAUST’s vision & mission, divisions, and centers to all the employees, faculty and students. 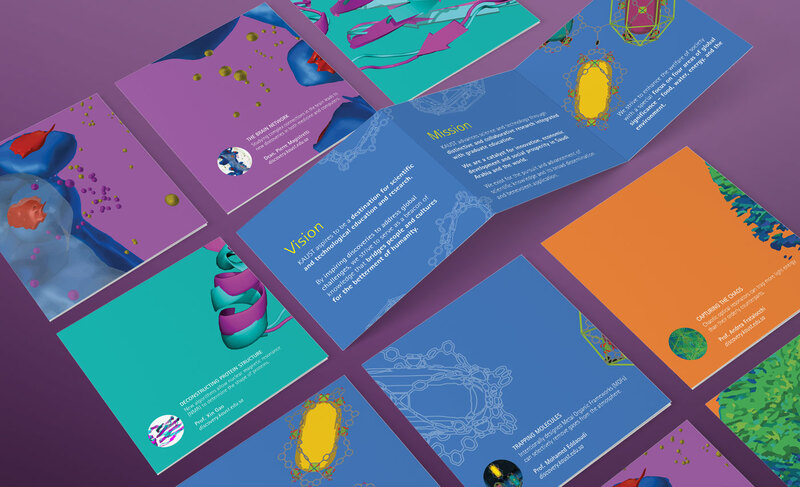 Our solution was to design an attractive and informative package and tie it with research and science. 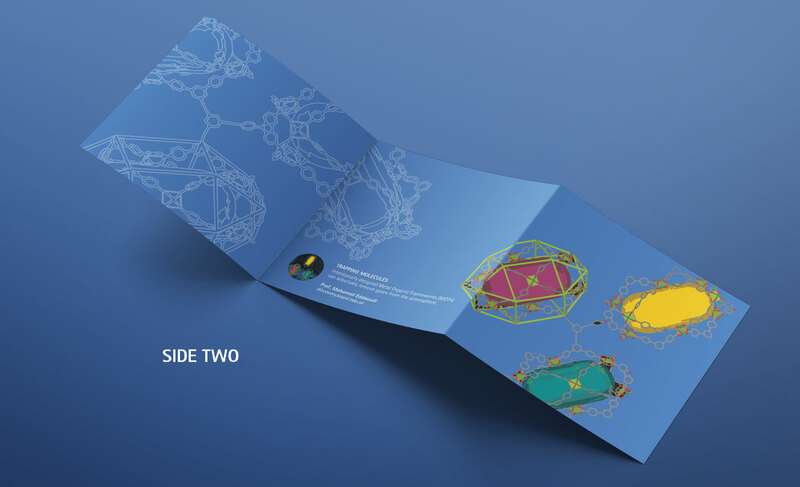 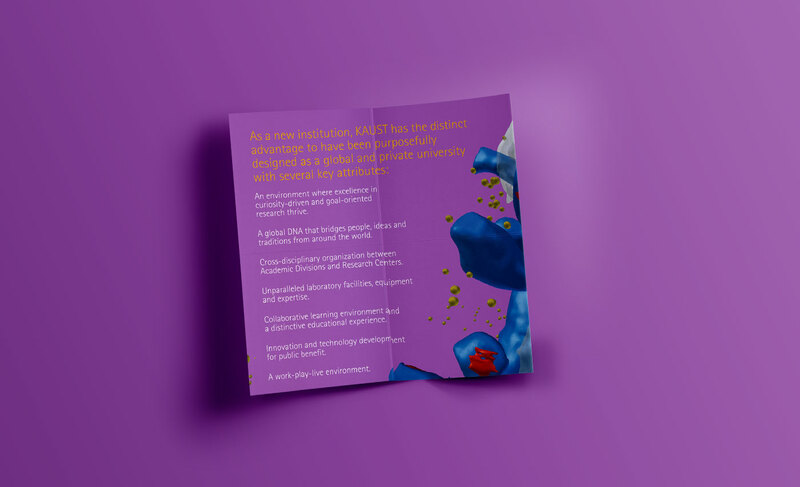 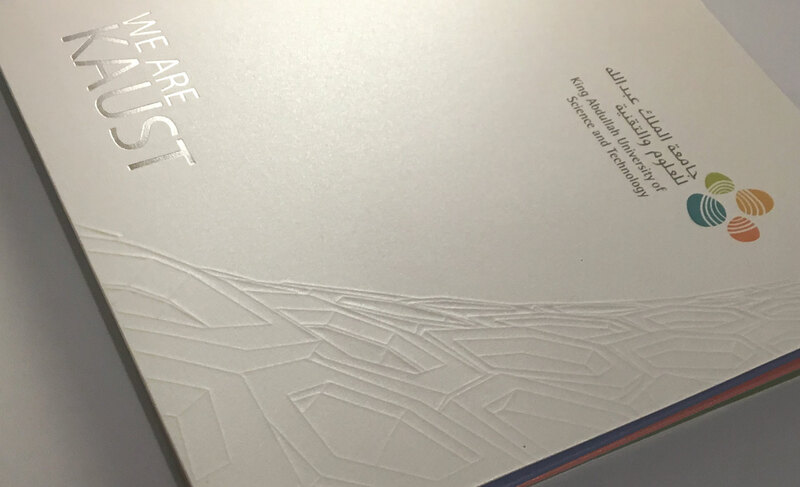 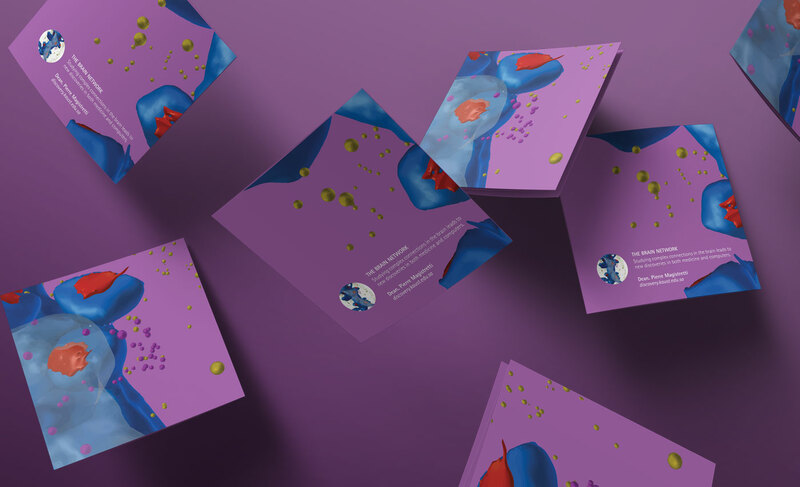 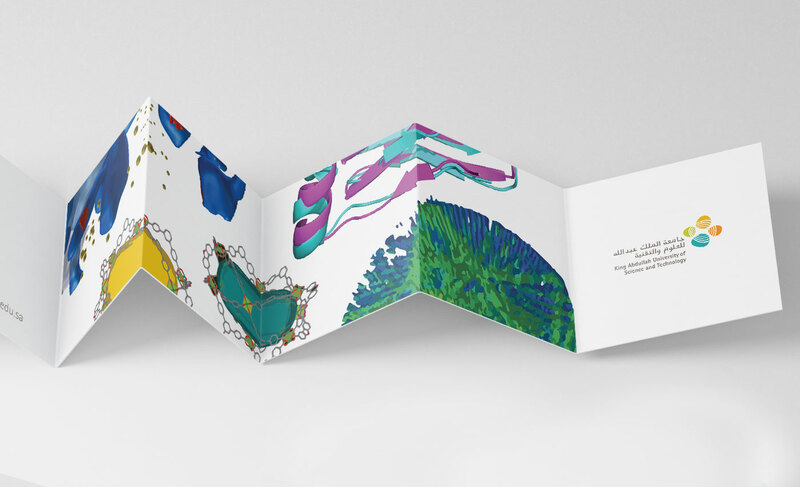 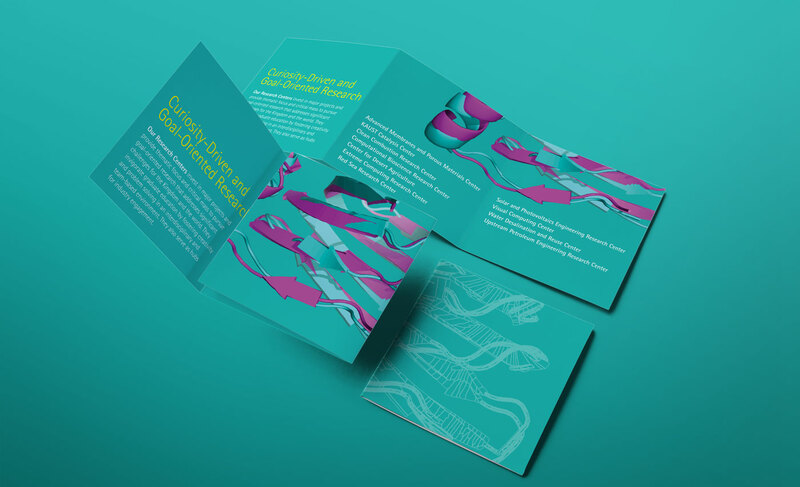 To achieve this goal, we used actual scientific images, from researchers conducted in KAUST from our three divisions and transferred these images into an attractive key visual to give the package an artistic and a scientific look and feel. 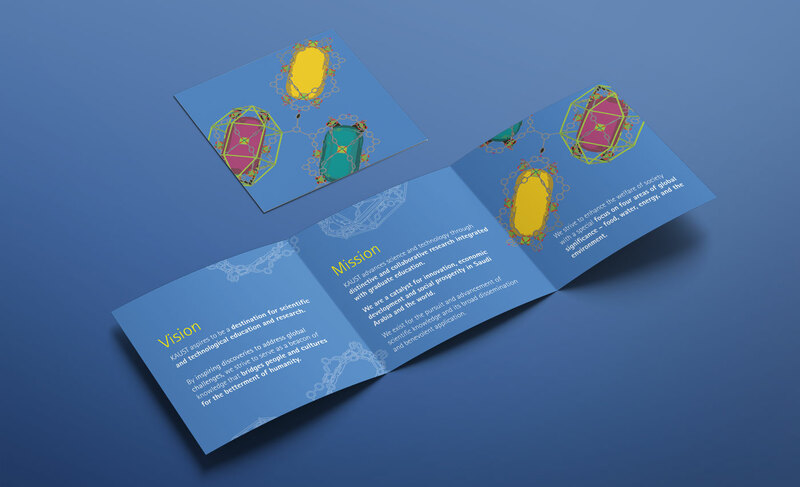 But we wanted more… we wanted to engage the audience. 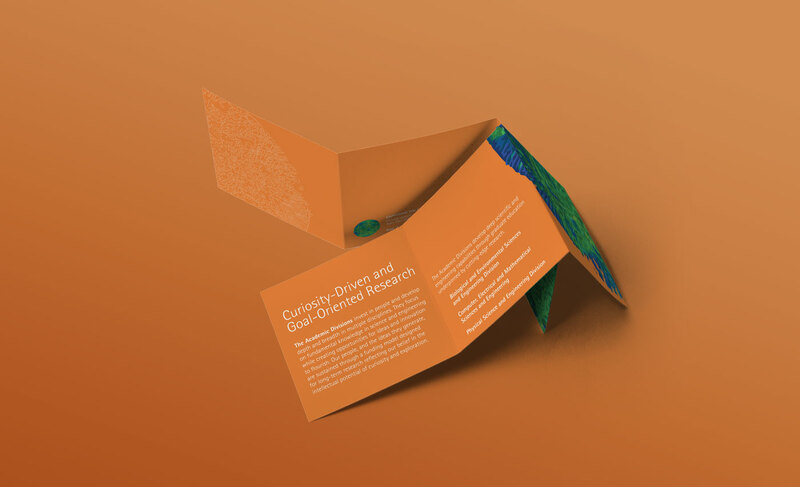 Therefore, we made it looks vibrant and fresh so they can hang it in their offices to initiate a conversation about the image/research with their colleagues.